LEXINGTON, Ky. (Jan. 18, 2019) — The Wildcats remained ahead of the Gators after the fourth day of Big Blue Slam and are leading the 11th annual blood drive competition by 85 pints, 1247 to 1162. 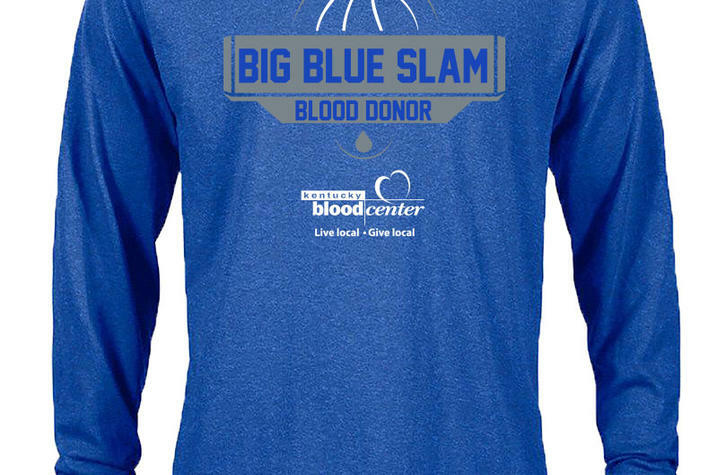 Big Blue Slam is the annual blood battle between the University of Kentucky Wildcats and the University of Florida to see which fans can donate the most blood. The competition goes through today (Friday, Jan. 18), and is at all Kentucky Blood Center (KBC) donor centers and blood drives. Kentucky and Florida are tied with five wins apiece in this yearly challenge between KBC and LifeSouth Community Blood Centers in Gainesville. Big Blue Slam helps to encourage blood donors when winter weather and flu season can hamper donations. “Even though Big Blue Nation is in the lead, we really need Wildcat fans to roll up their sleeves and help us save lives by donating on this last day,” said Martha Osborne, Kentucky Blood Center’s vice president of marketing.